I’ll be leaving tomorrow with relatives to spend some days in Vermont at my grandmother’s house. It should be a nice relaxing vacation and there will be reading involved. 🙂 There will not be any internet involved. So it will be quiet here for that time. I’ll be heading back home on Tuesday, June 1st and back in action both at work and blogging-wise on June 2nd. 1996. 337 pages. Hardcover. Random House. During her travels in Chile, British travel writer Sara Wheeler was introduced to the allure of Antarctica. Later she gets the opportunity to visit Antarctica, sponsored by the U.S. funded Writers and Artists program. The scientists and other Antarctic inhabitants take her along to their bases and camps spread out over the vast, extreme continent. Last month I read White Darkness by Geraldine McCaughrean, a thriller set in the Antarctic. In that novel, the continent had a wild, threatening nature and brought out the worst in some of the characters. The Antarctica in Terra Incognita, while far from benign, is a place where a profound peace can be found, and where the rest of the world is put in perspective. Sara Wheeler is an excellent writer, conveying the varied moods of her Antarctic travels: wonder, frustration, bonhemie, and a good deal of humor. Most of all, she shows the reader how and why she fell in love with Antarctica. I like travel writing where the writer offers some self-revelation, because travel is so much about personal connection with place. However, Wheeler’s narrative is not self-centered. It is clear that she is genuinely interested in other people and their work and she describes them with warm detail. In particular, near the end of her travels, she bonds with an artist named Lucia who is also there on the Writers & Artists program. The two of them share a hut in a field camp for weeks. As most of the narrative has her switching her company constantly, it was nice to see her spend some extended time with this new friendship. I really enjoyed learning about the varied communities of the Antarctic and the culture that is heavily shaped by the environment and the multinational demographic. While most places are welcome, Wheeler does encounter an off-putting boys-club atmosphere at one particular base. Historically, men have thought of Antarctica as their domain and some of that attitude still existed in pockets. Wheeler does describe the travails of the famous Antarctic explorers in the book, and intersperses them with her own travels. Because she hops around a bit with the history, I kind of wish there had been an appendix with a chronology of Antarctic exploration. Also, I wish there were some photos to illustrate some of the landscapes that Wheeler describes. 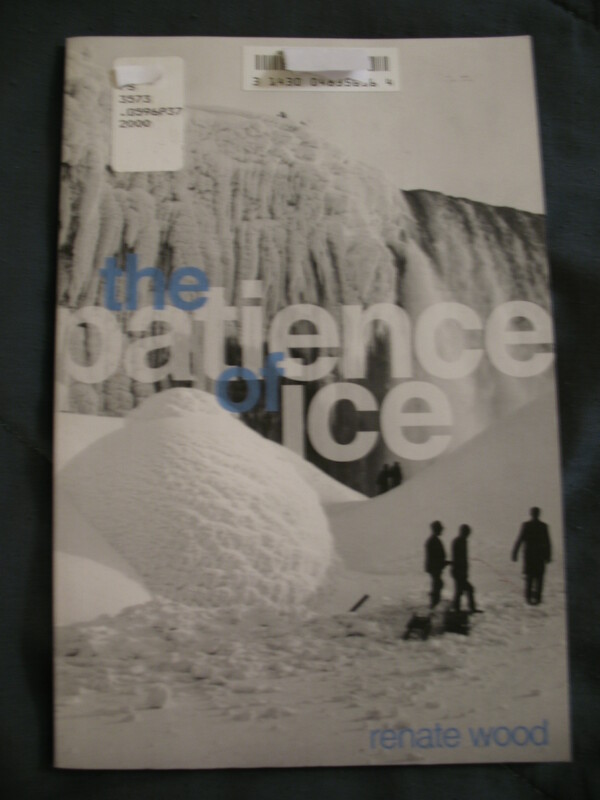 Overall, this was a highly enjoyable book and I recommend it if you like travel writing, or are curious about Antarctica, or even just looking for a good non-fiction read. I think I will be seeking out more of Sara Wheeler’s writing in the future. My teaser is from Sir Walter Scott’s The Talisman. The Talisman takes place in the time of the Crusades. The teaser is farther ahead from where I am, so I am not certain of the complete context. It appears that Leopold, the Archduke of Austria, has been provoked into demonstrating that he is not ‘under’ the English King Richard. So he has lifted the Austrian standard next to the English banner in their camp of allied armies. King Richard has come upon the raised banner. 1972. 170 pages. Softcover. New York Review Books [NYRB]. The Summer Book immerses the reader in the summer meanderings, conversations, and revelations discovered by Grandmother and her granddaughter Sophia. Along with Papa, Sophia’s father, the three spend their summers as the only human residents on a small island in the Gulf of Finland. The title of The Summer Book is indicative of the reading experience it provides. It is a simple title, but promises a distillation of that tantalizing season, of those summers that seem both forever and fleeting. The back cover description states that The Summer Book occurs over the course of one summer, when Sophia is six. However, the actual story does not insist on these details. Actually, I could not recall where in the story either of those two facts were stated. Sophia often came across as older than six at times, and I struggled with that at first, but because the book wasn’t that concerned with reiterating her age, my concern faded away too. Similarly, the book encourages a feeling of timelessness. Indeed, one of the last chapters starts with “One summer, Sophia was suddenly afraid of small animals” as if it could be the same summer or another one, and does it really matter anyway? Because each of the twenty-two chapters are actually self-contained “vignettes” (the apt term used on the back cover), sequential plot is hardly the point. Not that I think the vignettes should ever be taken on their own. I couldn’t tell you exactly why each part is absolutely necessary to the whole, just that they all belong together exactly the way they are. I do have some favorite chapters though. I loved the one where Grandmother and Sophia become enraptured by Venice; they recreate its canals and sinking palaces in the island marsh. There is also “The Cat,” when Sophia gets frustrated that her cat always remains aloof. In another, “Day of Danger”, Sophia learns about and quickly adopts superstitions, causing a great anxiety that Grandmother must somehow dispel. These seem like small things, but there is so much contained in these small things. Many of the stories involve an incident where Sophia is stirred to some great emotion and Grandmother handles it with wisdom. However, this wisdom does not come across as omniscient, predictable or dull. The writing itself is too wise for that. Grandmother is not an archetype, but an individual. While Sophia is figuring out the world for the first time, Grandmother is figuring out old age. They accomplish this task alone and together. The book often finds the two collaboratively spinning out stories to explain an object or a person, sometimes rejecting the other’s contributions, sometimes accepting and embellishing upon them. There is a theme of mortality running throughout The Summer Book. Early on, the book indicates that Sophia’s mother died recently. Her mother’s death is mentioned only once explicitly, but whenever the story brushes with death, it is deepened by the knowledge of the family’s loss. I learned from Kathryn Davis’ introduction that Tove Jansson wrote The Summer Book shortly after the death of her own mother. There is much more I could write on this book, such as its keen sense of place. It is a book that I know deserves to be re-read. 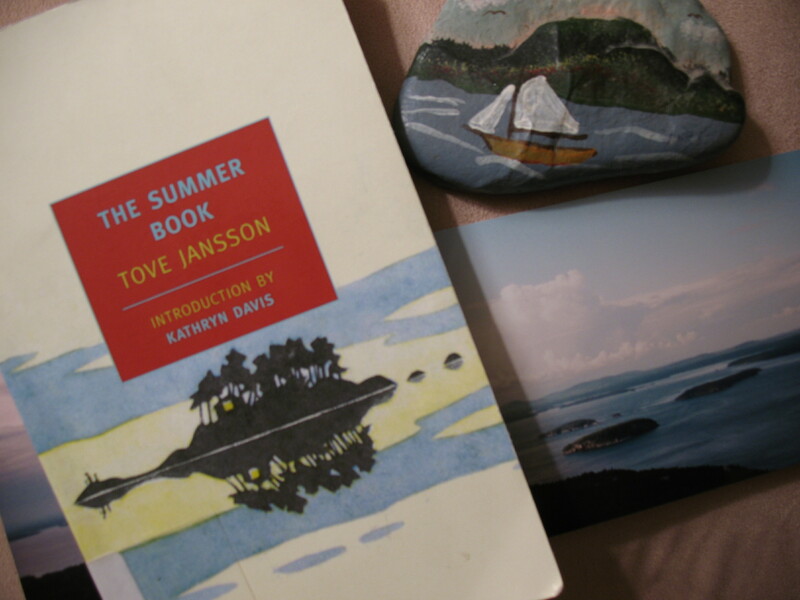 I read The Summer Book as part of the Spotlight Press Series NYRB tour. Check out the other stops here. I had read only one NYRB book before and that was The Dud Avocado earlier this year, which I have already labeled a favorite. Now having loved The Summer Book as well, I will be definitely checking out more books from this press. Edited to add: NYRB decided to give Spotlight Series participants a few gift items, including a book, after the tour was over. As noted above, The Summer Book came from the public library. I had heard that there was going to be a gift before I posted this review, but it didn’t affect my opinion of the book. The Summer Book attracted my praise completely on its own merits. A friend introduced me to The Book Thing of Baltimore, which is basically a place where people donate books and a place where anyone can browse through those donated books and get them for free. The books are roughly organized by genre (e.g. mystery, fiction, classics, politics, history), but more or less it’s a matter of having a good eye for authors and titles of interest. The Lace Reader by Brunonia Barry – you know, this had good reviews on the blogosphere, but I had tuned it out somewhat because there were so many reviews of it at the same time. I got a little tired of hearing about it. But it’s free and I should just find out for myself. Middlemarch by George Eliot – This seems to be a well-loved classic and I haven’t read it. The Moonpool by P. T. Deutermann – this is the third book in a good thriller series, of which I’ve read the first two books. This one used to belong to the Harford County Public Library so it looks good. My Name is Asher Lev by Chaim Potok – my friend Jenny is dismayed that I haven’t read anything by Potok. I think The Chosen was her recommendation, but I know My Name is Asher Lev is also a highly regarded work of his. Sagramanda: A Novel of Near-Future India by Alan Dean Foster – this looks like a strange and potentially terrific sci-fi novel. This one used to be the property of the Baltimore County Public Library so it is in excellent shape with library binding. Tenney’s Landing by Catherine Tudish – I read this collection of short stories several years ago and loved it. Another cast-off of the Baltimore County Public Library. Trespassers Will Be Baptized by Elizabeth Emerson Hancock – This is a memoir of a preacher’s daughter and thus I could not pass it up. I too grew up as a pastor’s daughter. Hancock’s father was a Southern Baptist preacher in Kentucky and my childhood was in New England so there will be cultural differences, but I’m sure there will be some common ground. Wives and Daughters by Elizabeth Gaskell – another classic. I’ve seen the mini-series adaptation, but not read any of Gaskell’s works. Triquarterly Books. Northwestern University Press. This sequence did end up being my favorite. Though I had moments of connection in the later poems, or admiration for a phrase or word choice, I found the subject matter of “German Chronicle” to be the most compelling. inside, wrapped in its shroud of maple leaf. and marked it with a small oval of stones. scampering ahead like a shadow before him. My teaser is from Sara Wheeler’s Terra Incognita: Travels in Antarctica. This is a part where she is attempting to sleep in an igloo overnight.